Hello Doodlebug fans. 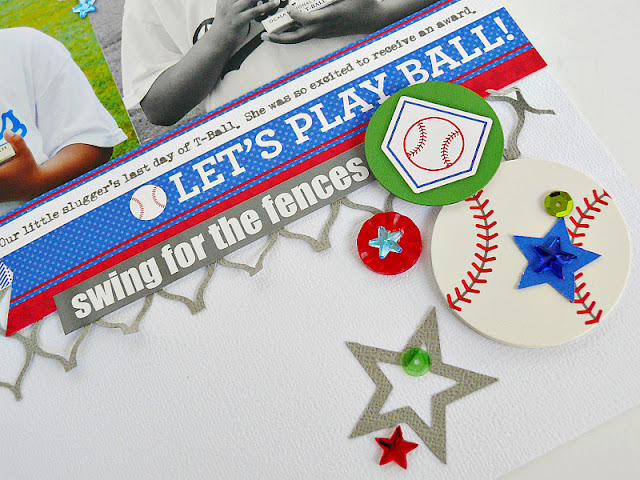 Jennifer here and today I have a layout to share using the new Home Run collection. I didn't have any baseball related pics, but the collection worked just as well documenting my daughter's T-ball photos. I couldn't decided weather to use a color or black and white photo for this layout, so I ended up using them both. 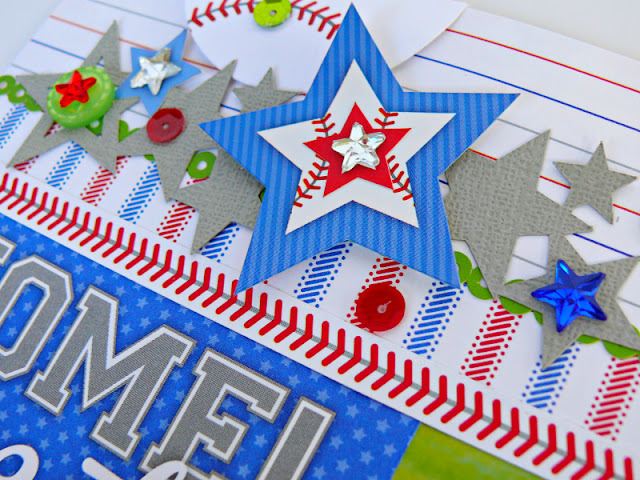 A star border was cut on my Silhouette, then embellished with star shaped stickers, buttons, sequins and jewels. I love the baseball stitched washi tape and patterned paper and used it throughout my layout. 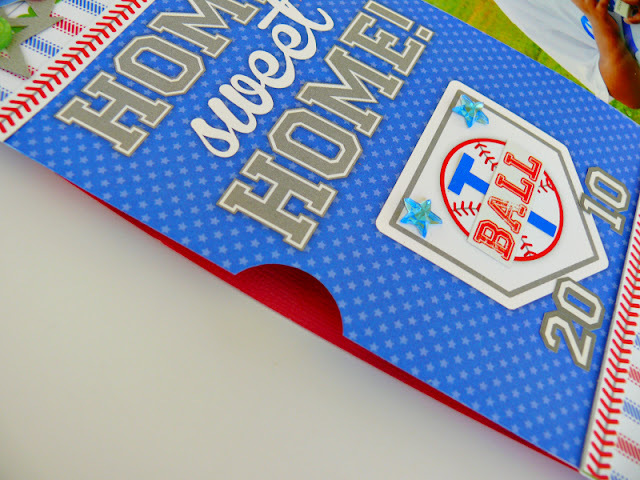 The "home sweet home" 4x6 block, was customized by adding the "T" and "ball" stickers to the pocket. 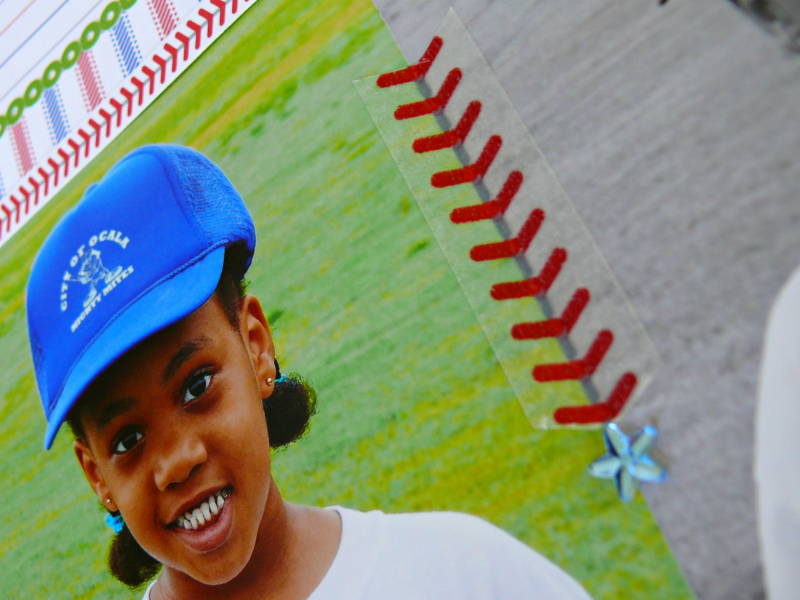 I also used some number stickers (from the Home Run "This & That" sticker sheet) for the year. 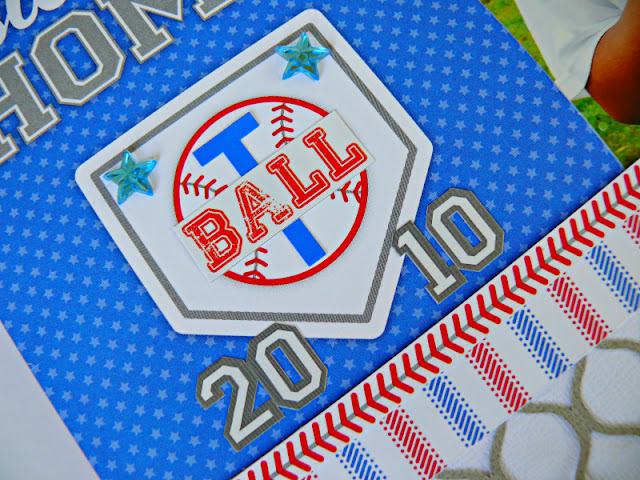 In the back of the layout I made a pocket large enough to fit the team photo. 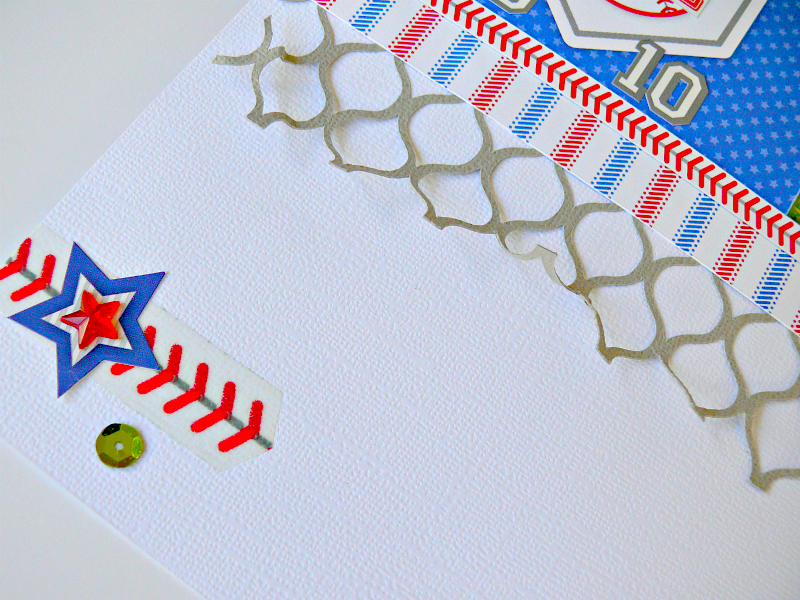 The lattice border was cut out in grey cardstock using my Silhouette. The border kind of looks like metal fencing, so I thought it would work for the layout. Cute layout Jennifer! Love the pocket ... and the pops of green!